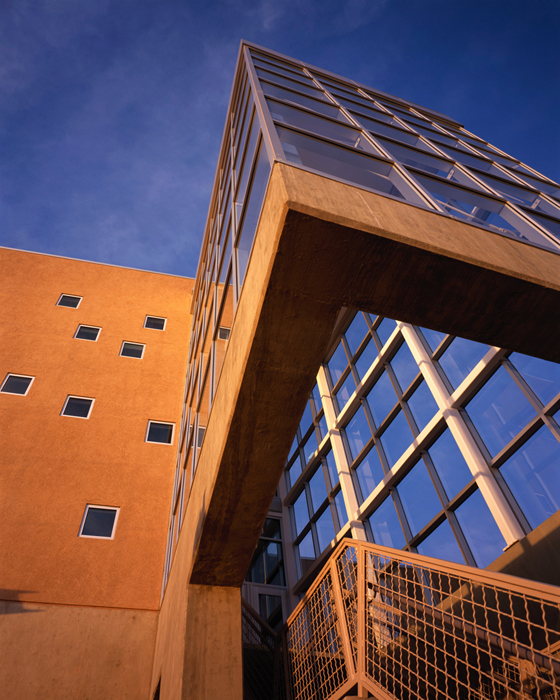 The design of the ILC connects the physical environment to the learner through its location, the use of materials, and landscape. 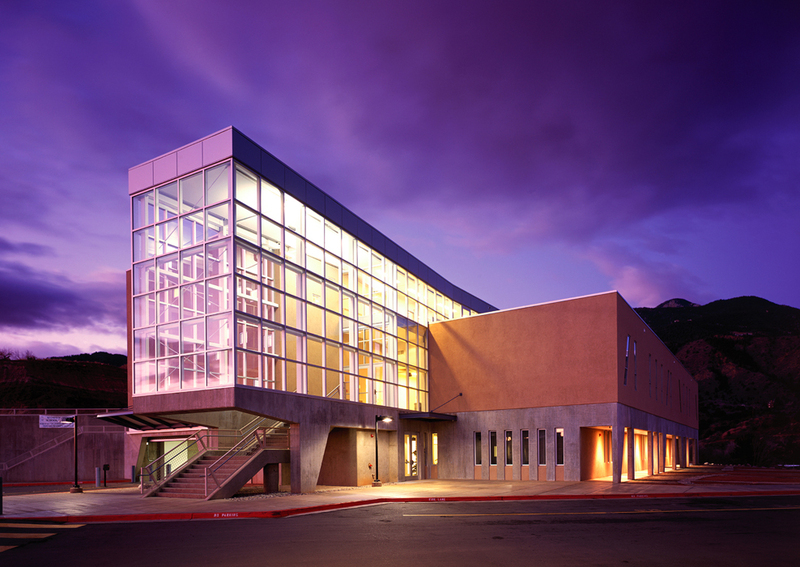 The building is sited between both the existing middle and high schools and provides a point of connection in the landscape for the user. 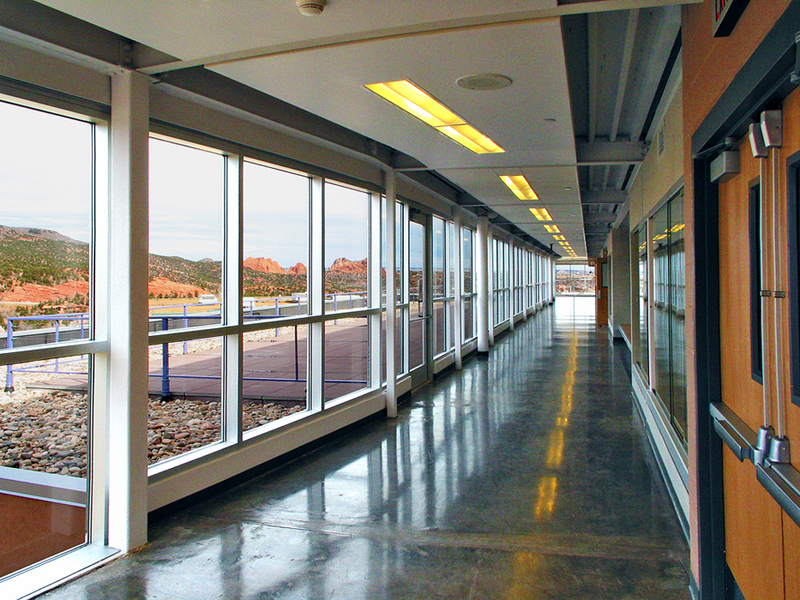 That connection is echoed in the design through a glass corridor that serves as entries to the middle school on the south and the high school on the north end of the building, respectively. 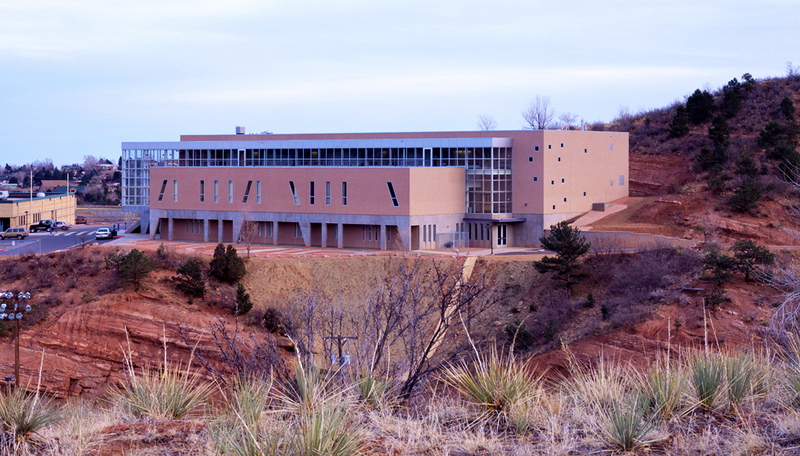 The building is nestled into the steep hillside demonstrating the use of the grading and landscape as an opportunity to enter and experience the building at several elevations. 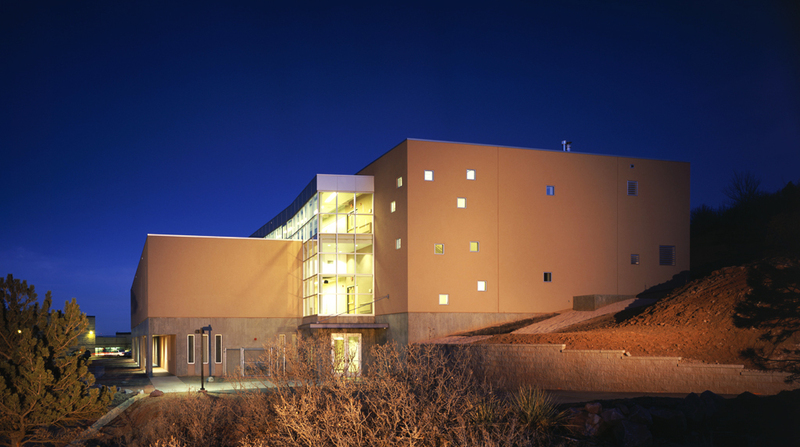 Natural topography on the east side of the site provided the opportunity to carve the landscape in order to create an outdoor amphitheater. 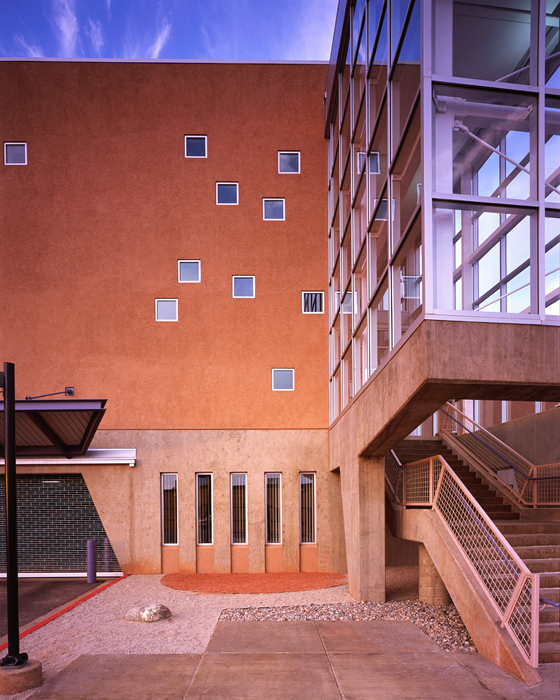 The material palette of glass express an architecture of transparency while stucco, and concrete speaks to southwest contextualism.